Are you missing out on the EBook Revolution? Digital books, magazines, newspapers etc are the fastest growing area in the publishing industry. With a wide array of ever expanding platforms – from the dedicated eReader and home computer to the Tablet PC and even mobile phones – it is a section of the industry that can no longer be ignored. 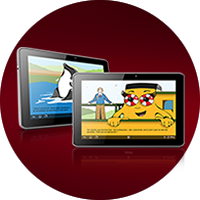 Indeed with the interactive capability of eBooks certain types of books are better served by being digital. Making your book available digitally means that you can be part of that revolution and reach millions of people worldwide. Authors and publishers who are just starting out on their eBook adventure can become bewildered with the complexity of the different eBook formats and devices available. Creating a properly formatted eBook can become a complex exercise that many authors and publishers do not either have the time or the expertise for. Why not leave it to professionals? 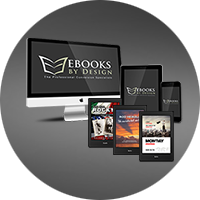 Here at EBooks by Design we provide a full range of eBook conversion services. Our high quality eBook conversion service helps authors and publishers to convert their book into a well designed and readable eBook. Unlike some other conversion companies we are not web designers without a true understanding of books and doing eBook conversion as a sideline – we are book people first, with a thorough knowledge of book layout and design. By using the latest eBook design and conversion techniques we provide you with a professional end product that can be published on sites throughout the world. We understand the time and effort that authors have put into writing their manuscript which is why, unlike many other conversion services, we do not use automatic software to convert books, we manually convert them which produces the high quality result required by our clients. If you have any queries or are confused in general about ebooks – check out the rest of our website – we have lots of information which should help you understand our services, including producing ebooks from various digital formats, converting from printed books/manscripts, the different ebook formats and layouts, producing Print-Ready PDFs for printed books, website design, the different retailers, ebook marketing etc. If you need more information or do not fully understand something please do not hesitate to contact us. We are happy to help. Or, if you are ready, fill out a Quote form and take your first steps towards being published on online. Whether you have a printed book or a digital file like a word doc we can convert your book into all the different available eBook formats. A standard conversion includes both of the main formats – ePub and mobi (Kindle). Fixed layout eBooks are great for Children's Picture books, Photography books and other books that are image intensive with a complicated layout. 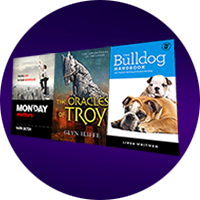 Ebooks by Design offers a full range of fixed layout options. If you need your book as a paperback then we can supply you with print-ready PDFs suitable for all of the main Print on Demand companies including Createspace and Lightning Source. Unlike the saying, books do get judged by their cover so top quality cover design is important for your book. First impressions count and our designers will make it a good one. A well designed website is essential for every author in today's electronic world, and a good website can be an important part of promoting a book and its author. 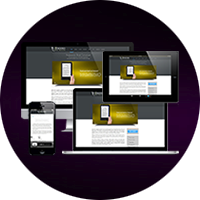 EBooks by Design can create and design your website for you. Contact us for details. 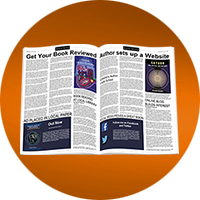 Need some advice about advertising and marketing your book? All books need some promotion. Without it your book can be lost amongst the thousands of other books published every year. Our marketing page gives you hints and tips. 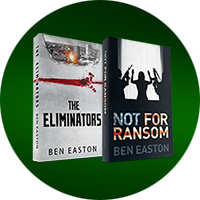 I have had the pleasure of working with EBooks by Design on several projects over the past few years. They are swift, accurate and cost-effective. What more can one ask? Having made an attempt myself to convert my novel, Song for a Butterfly to an ebook, it was a huge relief to be able to pass on the task to Ebooks by Design. Steve was professional yet friendly, amazingly patient with my queries, and I found his service both swift and efficient. The decision to convert my best selling line of Christmas books to E-Books caused me some concern. That was, until I found Steve Baker & Company, who worked with me, advised me and produced a creative product that far surpassed the printed editions. A big thank you to EBooks by Design for converting our book 'Without the Woo Woo'. The process from start to finish was effortless and all our questions were answered along the way. The finished product is very professional and we would certainly recommend EBooks by Design to anyone who needs their services. — Phillips Rose Grant Publishing. I can recommend Ebooks by Design (and, in particular, Steve Baker) without hesitation. As a literary executor, I wanted update novels written in the 1950s as eBooks. I found Mr Baker consistently helpful (patient with my amateur stupidities), swift and amazingly good value.